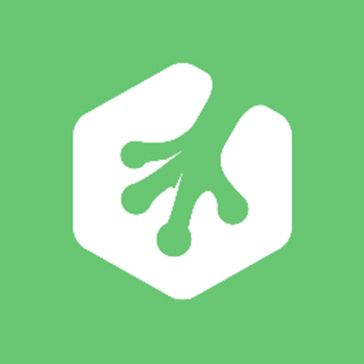 Treehouse provides source of online courses covering web development and business lessons. The only thing I dislike is how long it's taken me to learn :) Luckily, I am a writer and digital strategist, not a web developer! As I said before, it's been slow-going. Some of the beginner courses are VERY basic and feel like a waste of time. I have to keep telling myself that you have to start somewhere. As I pass some of the very early levels, the classes have become more interesting. If you are interested in coding but don't know how to get started, Treehouse has amazing tutorial videos that walk you through the process. It's awesome because there are checkpoints and rewards as you continue learning, which makes it fun! Treehouse has been incredibly effective in broadening my pool of knowledge. As a writer and digital strategist, it's given me background in the technical aspect of web design and helped me learn what is and isn't possible when it comes to writing for the web. "Excellent selection of courses and great teachers"
What I like best about treehouse is it's easy to find and keep track of what it is you are learning. For example coding languages are all groups together, easy to get to and a course or track as it's called is simple to get back to. There are also one off videos within libraries to watch which is nice. I would really like for treehouse to release content faster. I can see what's coming out in the next few weeks or month. But waiting on an ES6 course for example while other course websites have content makes me go to competing websites where I can buy a one off course on that topic. The iPad app was also buggy when rotating from landscape to portrait the videos weren't resizing to 100% width but that may be fixed. It's a great tool to learn and keep up to date with programming. For beginner and intermediate developers it's perfect. Treehouse is even coming out with more advanced videos like building desktop apps with Electron. "Skill up quickly and have fun doing it!" I love the short sequences that allow you to squeeze your learning into whatever time you have available! I love earning badges and having something that represents my progress. I joined Treehouse while on maternity leave with my son and found that the sessions were just long enough to get in a session while the baby napped, a nice break from changing diapers and I returned to work with some great new skills I could put to use immediately. I'd love to see some more classes that address digital marketing topics, this field changes so fast! Worth a try, it probably doesn't appeal to every learning style but you won't know until you sign up and start a course. I love it and recommend to everyone who mentions wanting to learn to code! Team treehouse has very professional teachers which makes you feel you are taking courses from professionals. Provides very current technologies and helping system works all the time well. Assignments makes you understand well the course because you can not continue or win a badge if you cannot pass the assignment. I think it s a nice feature. I think it is a bit expensive. They can determine price for each course packs seperately and unlimited access that would be better for everyone. I recommend everyone for learning the basics of the web site making. They explain all the steps of making web site very well and understandable. I did not check the other courses in that site but I bet they are also nice. I took courses in order to make my own website about architecture. Actually I have hired a web master but I want to double check him and understand what he does exactly on my website. "Professional Instructors and updated courses available"
I am interested in wordpress and teamtreehouse provides great course for it. Most of the instructors are really good at their job and teaching very understandable for beginners. They always keep content up to date and making new courses depending on the technology. Also there is library in team treehouse which you can find any topic you want for example integrating php with databases or seo for wordpress. I really liked the variety of courses in this site. Their price is really high actually. They do not offer any free course which is so bad because I think that not everyone can pay 25 dollars per month especially if you do not live in countries with different currencies. I think that teamtreehouse should decrease their price or make some courses free and get commercials etc. in order to expand their customer range. If you can pay 25 dollars per month, it provides you great source of IT technology. But still you can find similar information free out there if you just do search more. Considering the video, instructor quality etc. I can recommend everyone to catch up with latest technologies in their focused areas. I am focused on wordpress and php in order to develop myself in those areas. Also I am focused on SEO for my job and treehouse gives always updated information about these areas. I love how easy it is to learn. You watch a quick video and follow it up with an interactive session. The interactive piece is key. There isn't much I don't like! I've been very happy with Treehouse. I'd recommend deciding on a single track and sticking to it. Treehouse isn't super easy to switch back and forth. But, they do make it easy to stick within a single track and finish it. I'm using Treehouse to keep refreshed on the latest in each language and to learn new languages to grow my capabilities. Combination of hands-on practice and very professionally done audiovisual learning with expert instructors in the field. Good use of gamification and a curriculum with the use of tracks to focus your learning. Being able to complete other tracks and carry over "credit" from previous tracks with the overlapping knowledge. I also enjoy the supplemental business courses included, enriching people's business and freelance skills. Not as many in-depth projects. No one-on-one mentoring. These features are included only in the more advanced Tech Degree program for $399/month, which is newly launched this year and much more expensive than the $25 per month plan. The basic plans mainly include forum support. Like many online bootcamps, Treehouse is best used as a strong foundational supplement to other online courses. However, because of the vast library of material, high quality production values, and community in the forums, it seems to be one the strongest in being most likely to launch ready-to-hire entry level developers and enrich other freelance and business owners in enhancing their skills. Absolutely worth the basic membership fee. I am teaching myself to code in order to launch a web presence for my future business. I would like to add a secondary skill set which will serve my business without outsourcing. I am still in the process of training. "Treehouse is a great resource"
I like the interactivity and variation of the courses and the thoughtfulness of how it's presented. The videos were a great way to mix up the information and the tests made it easy to track your progress. One thing that I found helpful was the course tracks. It allowed me to share with my boss and justify the use of Treehouse. Not much! Maybe they could offer a blog? I would definitely recommend this to anyone wanting to brush up their CSS skills. It's great for beginners, and also great for brushing up if you've been away from developing for a bit. It's also very useful for learning other coding and design. I've used it to brush up on CSS for certain project requirements and also used it to try and learn PHP. "The best code education resource I've used"
I love Treehouse because it has a variety of learning methods. A course is thorough, with additional materials, community help, videos, and interaction. I learn best reading versus listening, so having a transcript to follow along with is a huge help. I only dislike the lack of basic modules, covering debugging, good development practice... the more traditional aspects of software engineering that I think are good to understand as a web dev. I also think there should be earlier emphasis on writing secure code. Try to come up with a learning plan that best suits your long term goals. There is a lot of information, and it's easy to get distracted by nice to have knowledge. That being said, I always try to have one additional interest area that I maintain by completing Treehouse lessons. Treehouse has helped me be a more dynamic worker at all of the companies I've been with. I often serve as a knowledgeable second opinion on code quality, a backup for web troubleshooting, and a basic designer. I used to only do QA, and Treehouse helped me better understand where to look to challenge UX and functionality. Treehouse has a vast amount of courses available. It is easy to navigate with both single classes and whole track to develop an entire skillset. The classes are very thorough with both theoretical knowledge, practical know and tests to help you retain what you lean. If anything, it can be a little too thorough at times. There is some overlap between segments of course but usually not much and it helps to refresh. I'd happily recommend this to anyone looking to learn coding or any other technical skill that they offer a course in. Keeping my skills up to date and developing new ones to keep my skills relevant in the market. Vast amount of courses available, easy videos to follow as well as follow up tutorials and quizzes to test what you have been learning about. Video tutorials are great for on the go, if you just want to listen to someone teaching you, rather than actually participating in the tasks, then there's the option for this, as well as learning as someone goes along with teaching you the subject. Not all of the languages are on there, it also would be great if there was the option to learn about things that weren't in the IT sector, meaning that if there were other aspects of a business that you wanted to learn about, then there would be the option to also do this, it means that it would cater for more than just IT aspects of a business. Great tool for learning whether it be for work or for your own personal development. Great for refreshers, or if a member of staff needs to learn a specific language. Most if not all of the languages are on the website so it makes it a good resource for learning bits here and there. Learning new languages in my spare time, keeps me refreshed and on top of new languages, as well as learning about old ones that are still being used. I've been able to figure out better and easier ways of learning a language, as well as learning about subjects that might have been a little harder to understand due to tutorials not being as good. "Treehouse an amazing way to learn new technologies"
TreeHouse is a solid platform that teaches you about different kind of technologies in a very unique way, I personally used this to learn new technologies, programming, app development and more things like website development related stuff. I used this as free user and I have nothing left to say more than this is one of the best education platforms I've used and I've used a couple out there like Coursera, PluralSight, and this is actually really good. Quality content is one of the main things here, you'll never see something without having properly preparation before, also practices area really efective so you don't learn just by watching or listening, you learn by trying what you already learned. Honestly there is nothing I don't really like about tree house right now but It would be cool if people from another countries without access to the American currency could pay for it in another way. LATAM is really limited in all that refers e-learning platforms and I think if some companies give the chance to this people for accesing it would be great. without any doubt this worth the price, I've used it in the trial period, and it's over now but I'm now thinking about paying for it. There is not limit of age here, no matter how old are you, or if you studied another career, you can learn about everything, the method they are using is just unbelievable. "Learn to code without any previous knowledge"
The structure of tree house courses were really well designed. They don't assume you know anything and hold your hand every step of the way. The courses also evolve into building real world applications, with room to expand if you're feeling confident. Some of the videos and courses felt a little too gimmicky. Too much production value that didn't actually help enhance the course in any way. Also a common downfall with code courses is teaching by rote memorization or repetition instead of explaining what's going on under the hood. Give a few of the free courses a go and evaluate before spending the money on a paid solution. This was solving the problem of lack of web tech understandings. The videos built a solid foundation to go out and actually learn other computer science fundamentals and programming languages. The tracks are well structured. I just started as a web developer but feel like I don't have a solid understanding for anything yet. The tracks made it easy for me to keep moving forward. The price. The basic plan ($25) is alright but it's a lot pricier if you want to download contents/do projects. Making my dream of becoming a developer more accessible. * We monitor all Treehouse reviews to prevent fraudulent reviews and keep review quality high. We do not post reviews by company employees or direct competitors. Validated reviews require the user to submit a screenshot of the product containing their user ID, in order to verify a user is an actual user of the product. Hi there! Are you looking to implement a solution like Treehouse?